Royal Deeside at it’s best. 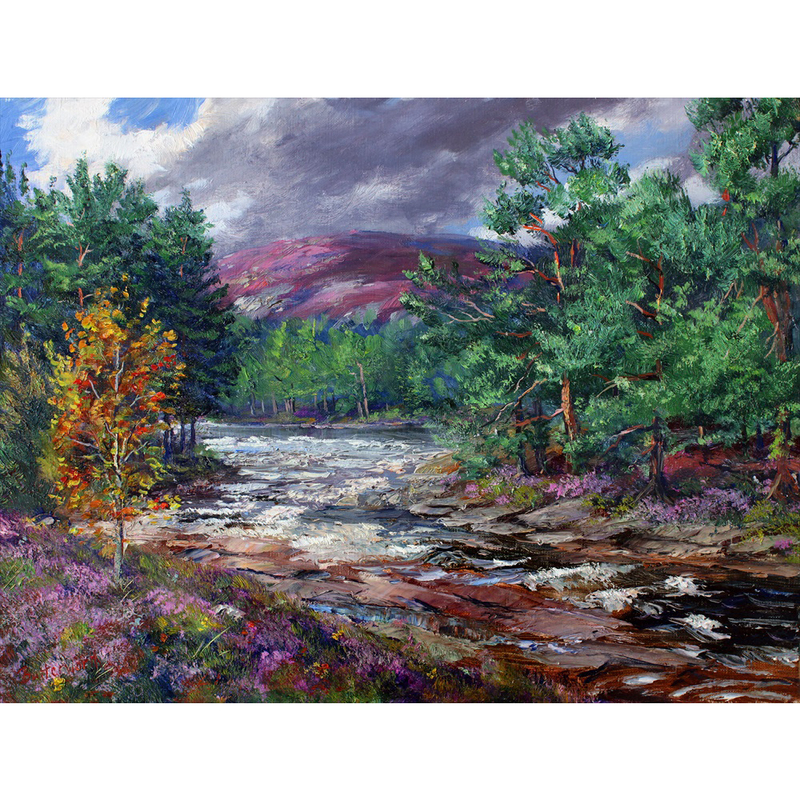 The River Dee ” Water of Life” with heather banks and Pine Trees. Approximate image size 30 cm x 40 cm.